The artists on the latest Twilight Soundtrack are currently being revealed one at a time for the next 7 hours on Myspace. The social networking site will be releasing the artists’ names every 30 minutes until the roster is complete. I personally think this is a really cool and innovative way to generate buzz on a soundtrack that already has more buzz than a bee (yes, that was just said). 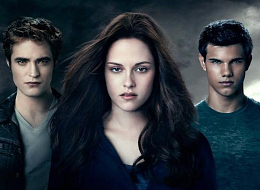 The Twilight soundtracks have become a force to be reckoned with and have already cemented their status as the “who’s who” in the popular/indie/cool music scene. Check out the soundtrack list HERE. Today I thought I would share a quick tutorial on how you can make a hand drawn myspace header image and then show you a way that you can quickly add that header image to the top of your myspace. (If you are only looking for the code that adds an image header to your myspace page, see step 10 at the bottom).